The January issue of Tabletalk examines the biblical basis for apologetics. While certain apologetic methodological disagreements remain, all Reformed Christians share a commitment to the scriptural foundation for apologetics. 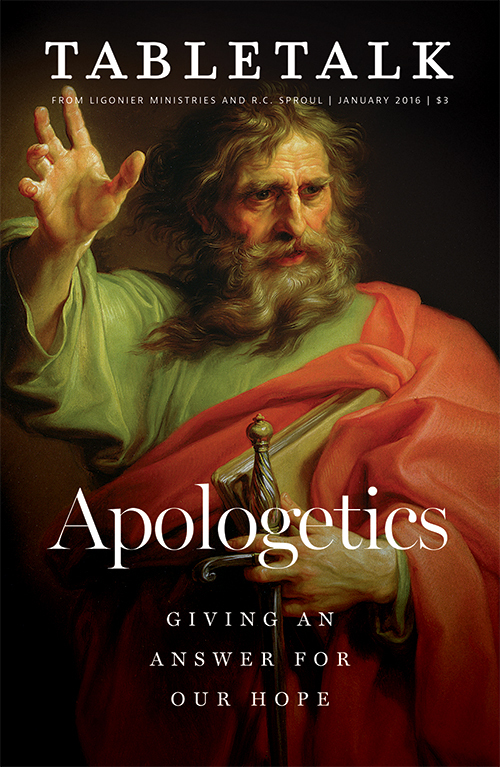 Thus, the purpose of this issue is to focus on key biblical texts for developing a theology of apologetics. It demonstrates our unity in the truth of God’s Word and serves as a resource for Christians in giving a reason for the hope that is in them. The February issue will consider spiritual awakening. The March issue will examine several “one another” passages in the New Testament. The April issue will consider Islam.